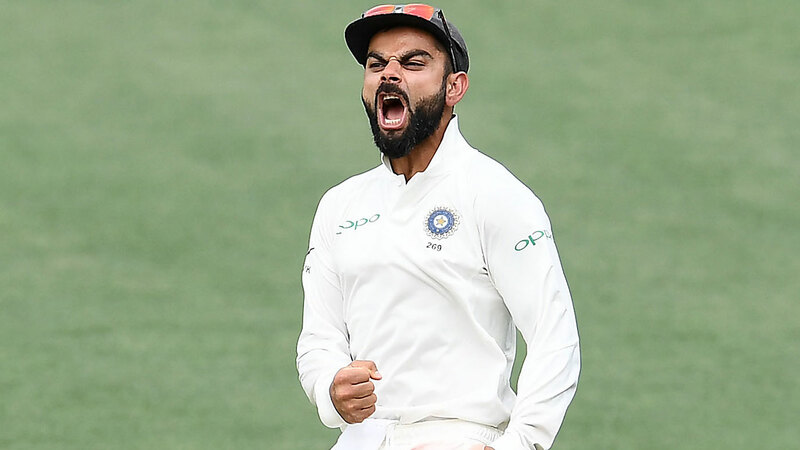 Australian coach Justin Langer has questioned the double-standard when it comes to sledging in cricket after several aggressive celebrations from Virat Kohli. The Indian captain was pumped up on day two as his side roared back into the contest with seven wickets, but while Langer praised Kohli&apos;s celebrations, he questioned what might occur if his side acted in the same manner. "You love seeing that passion in sport, don&apos;t you?" Langer told Fox Cricket. "Mind you, I think if we did that at the moment we&apos;d be the worst blokes in the world, but it&apos;s a fine line isn&apos;t it? That&apos;s the truth of it. "But I love seeing the passion, I mean that&apos;s great passion but, as I said, there&apos;s a fine line isn&apos;t there?" The former Test opener also addressed his side&apos;s slow run rate which was criticised by former Test captain Ian Chappell on Friday as well as Indian great Sachin Tendulkar. "I saw the tweet from Sachin saying he&apos;s never seen an Australian side bat so defensively," Langer told SEN.
"That said every time he&apos;s played Australia he had Allan Border or David Boon, guys who have played 300 or 400 Tests between them. "We&apos;ve literally got kids when it comes to Test cricket playing. They&apos;re just finding their own skin, they&apos;re fighting their backsides off, not only to help us win the Test match, but to find out what Test cricket&apos;s about." Australia&apos;s tail wagged early on a rain-interrupted day three before they were eventually dismissed for 235, 15 short of India&apos;s first innings total. Published on Sat, 08 Dec 2018 03:22:59 GMT, © All rights reserved by the publisher.